Stand with the most vulnerable. 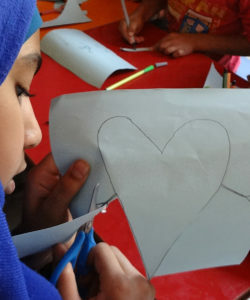 Donate to support long-term solutions for refugees. My desire to support JRS in any way I can was born from my experience in the field. I feel at home with the moderate, essential and flexible way to empower beneficiaries, involving hosting communities, with the style of the Ignatian pedagogy that I love. The current global refugee situation can appear so overwhelming that people wonder how they could possibly make any difference. Your financial gift to JRS contributes to long-term solutions. Covers the annual cost of education materials for a secondary school student in Dzaleka camp, Malawi. Pays for the training of a child safeguarding social worker to protect urban refugee children in Jbeil, Lebanon. 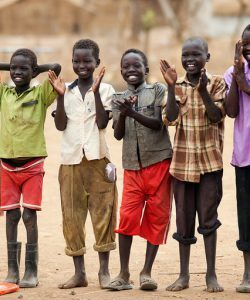 Covers the annual cost of teaching materials, fees, and certification for a secondary school teacher in Maban, South Sudan. Syria Since 2011, over half a million people have died due to the conflict in Syria. 13.1 million Syrians today need humanitarian assistance. 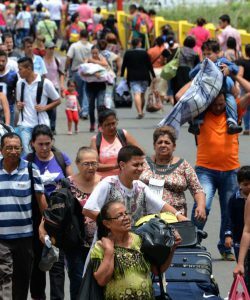 Venezuela Over 2.3 million Venezuelans have fled their country since 2014 due to political unrest, and food and medicine shortages. South Sudan More than 50,000 people have been killed since the start of the civil war in South Sudan in 2013. An estimated 2.3 million people have had to leave their homes because of this conflict. Interested in making a tax-deductible gift? Gifts to the International Office give you tax-deductibility in Italy. If you are interested in making a tax-deductible gift in other countries, you can do so through our Jesuit partners listed below. Please indicate that your gift is meant for JRS.